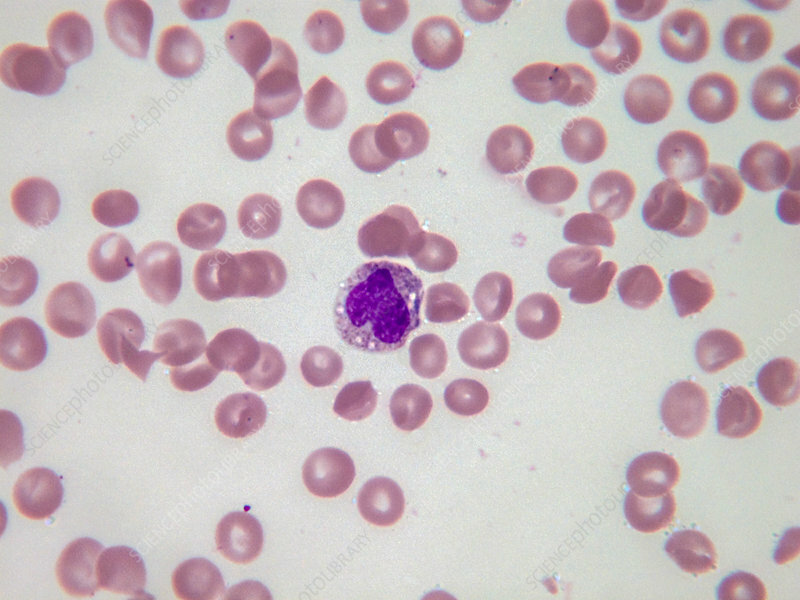 A monocyte is a mononuclear, phagocytic leukocyte having an ovoid or kidney-shaped nucleus and azurophilic cytoplasmic granules. Light micrograph, Wright-Giemsa stain. Magnification: 100x.